In a lovely setting with a relaxing atmosphere and pretty views, the Aydos Club and Aydos Suites offers a good standard of accommodation, and should appeal to couples and families who enjoy a friendly atmosphere with good facilities. Ideally situated in a quiet part of a lovely little town with beach easily accessible and wonderful birdwatching on river and lake. Rahmi, the manager, goes an extra 10 miles, to make it an excellent small hotel. Great little hotel, beautiful pool, perfect riverside setting, fantastic staff and wonderful selection of bars and restaurants in Dalyan. Avoid the crowds and go in October – the weather is still lovely and there’s plenty of space of Rahmi’s boat trips. The 15 minute stroll into town is easy and the path is well lit – and if you don’t topple into a couple of the little riverside bars on the way back, then there’s always a nightcap at the Aydos Club Bar, which stays open as long as there are customers. I just returned from a two week stay at Aydos Club in Dalyan. Superb – from start to finish. The hotel is small with I think less than 20 rooms, a private pool, a private jetty and it’s own boat. From the moment we arrived, the stress started to disappear and quite honestly never returned until we were back home! 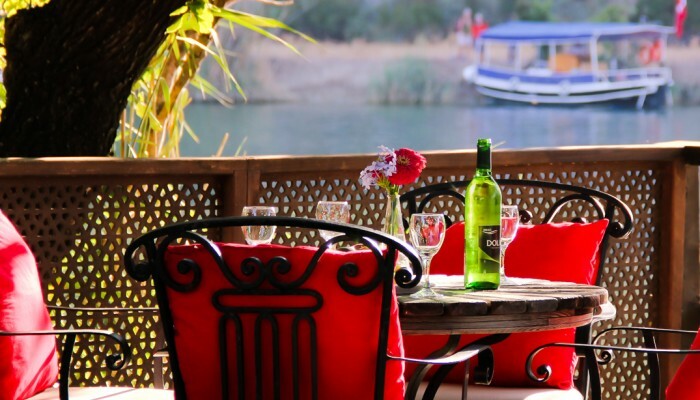 The hotel is a short walk from Dalyan, around 15 minutes along the river. The staff are fantastic, so friendly and always happy to help. The manager, Rahmi, and all of the staff really make the experience quite special. This hotel lived up to our expectations. This was our first visit to Turkey and we loved it. The Hotel was as beautiful as it’s pictures on the web site. Rami and the staff were helpful and friendly and cooked the most delicious pancakes by the pool for breakfast ! The rooms were clean and we liked our small private patio. The hotel is in an ideal location, close to the river and within walking distance of the town.